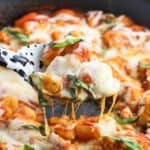 Chicken Parmesan Gnocchi Skillet is a total comfort food meal made all in one skillet. Less dishes to clean with saucy gnocchi, juicy chicken, and Parmesan and mozzarella cheeses. 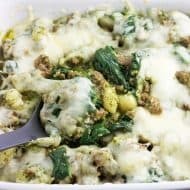 Top with fresh basil for serving and this gnocchi dinner will be a favorite! 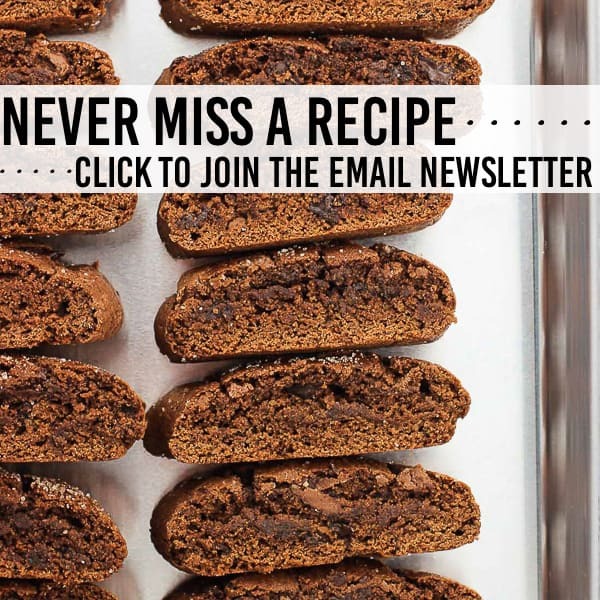 I try not to fall into ruts with the types of recipes I share here on the blog, but some things are just too good not to replicate. 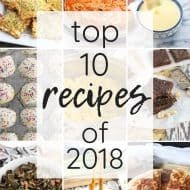 One example would be chia bars. Date-based and naturally sweetened, I’ve got four (or five?!) different varieties I cycle through for healthy afternoon or anytime snacking. My latest favorite are these pineapple banana chia bars. 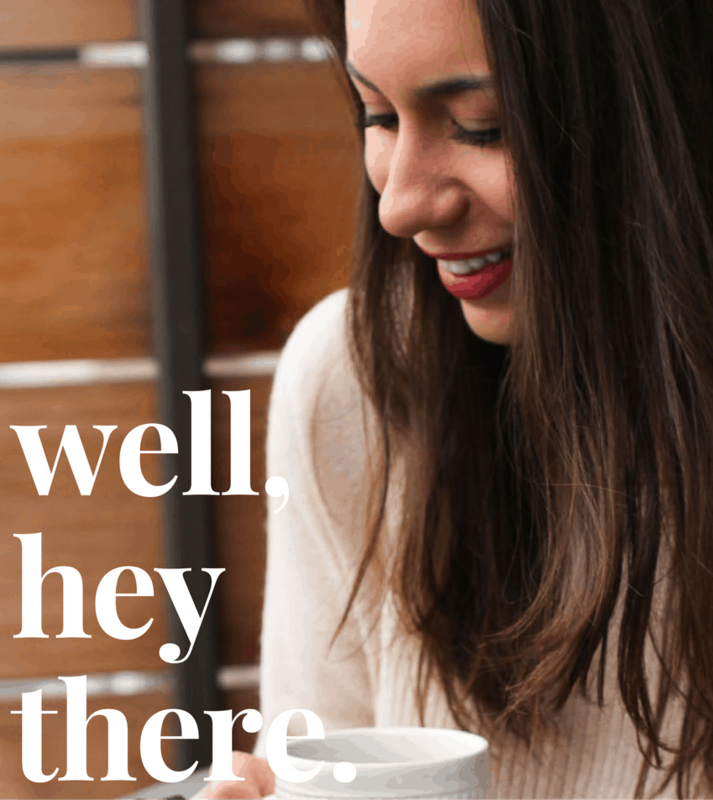 They’re inspired by the flavors of hummingbird cake and are soooo good. The second is turning out to be gnocchi dishes. I mean, can you blame me? Pillowy soft potato gnocchi are quick-cooking and play well with a whole host of different flavors – not just Italian. 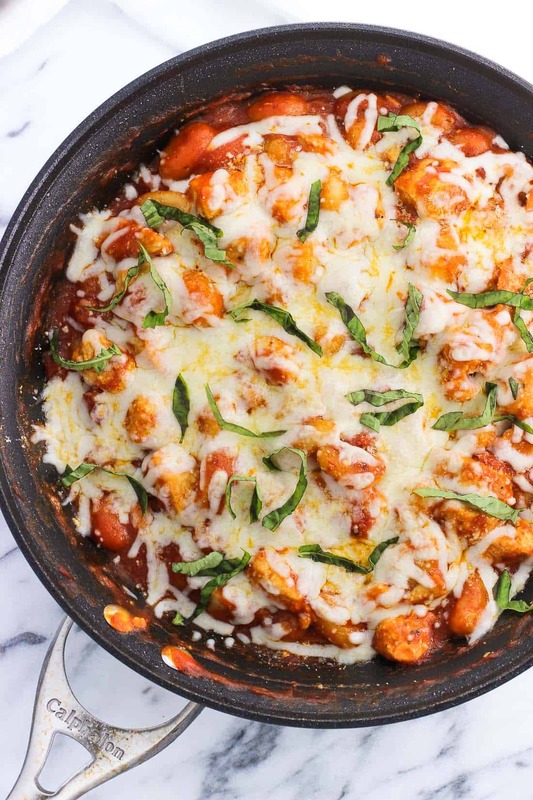 This time around, gnocchi are combined with chicken, marinara sauce, and cheeses for a seriously good Chicken Parmesan Gnocchi Skillet. 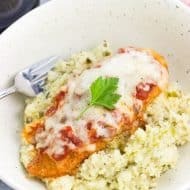 Really it’s chicken parm-ish as I’m skipping a few ‘traditional’ steps like breading and frying the chicken, but all the flavors are here. To speed up this recipe, I cubed boneless skinless chicken breasts instead of cooking them whole. 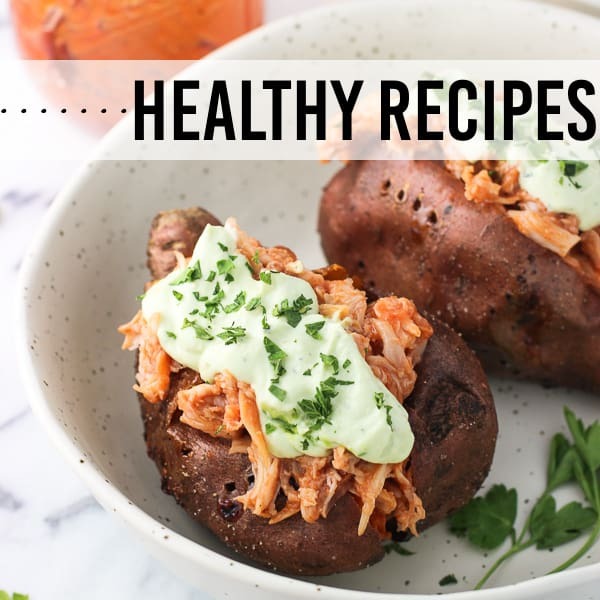 You can use your favorite kind of chicken (a rotisserie chicken would really speed things up), but this was pretty easy and quick. Then the gnocchi – no boiling here! My favorite way to prepare them is to add equal amounts of olive oil and unsalted butter to a skillet and toast them, stirring them often, until golden brown. Besides eliminating another pot to wash (yessss), they get the best crust that helps prevent them from becoming mushy. Another one of my favorite gnocchi tips is to pour in a fair amount of chicken broth (I always use reduced-sodium) and let it reduce for 8-10 minutes. I first discovered it back when I made this gnocchi with Italian sausage and homemade marinara, and I’ve used it every time since. The broth reduces into a thick sauce that coats the gnocchi perfectly. Thick and creamy without actually using cream. That’s a win. 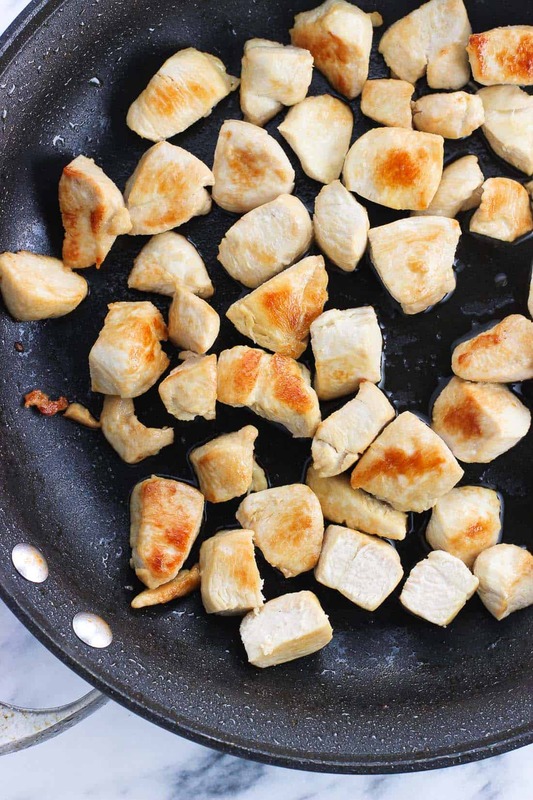 Once the gnocchi is coated to perfection, add back the cooked chicken to the skillet and pour in 12 oz. of your favorite marinara sauce. 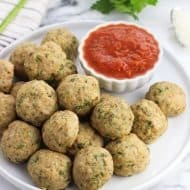 Making homemade sauce is something I enjoy (this hearty marinara sauce and meatballs is it), but it’s not exactly a weeknight kind of recipe. I have no qualms at all about using a store-bought variety where it makes sense, and this sub-40 minute dinner recipe fits the bill. What’s left is to add a hearty layer of Parmesan and a heavy-handed 😉 sprinkle of mozzarella and pop it under the broiler until the cheese melts. 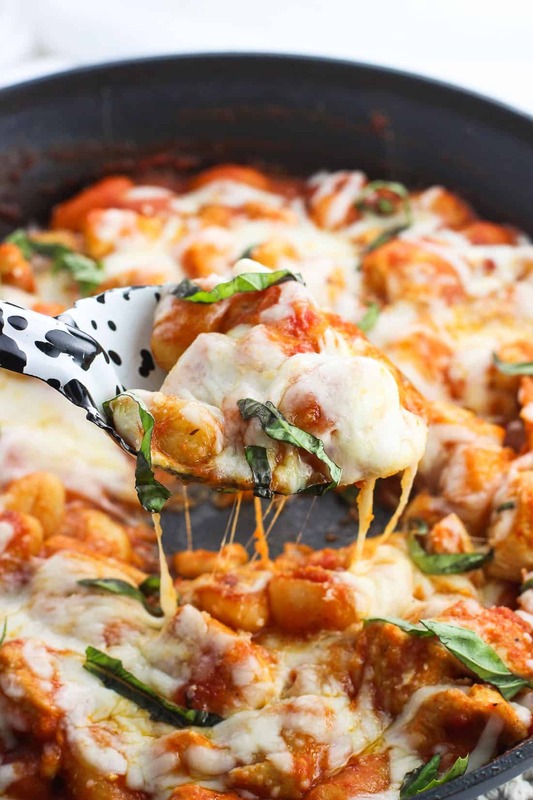 Fresh basil rounds out the flavor of this chicken parmesan gnocchi skillet beau-ti-fully. Now that it’s official spring I’m impatiently waiting until I can plant my herb garden. Planning to go hard on the basil this year! So I guess that means expect pesto everything coming your way soon. Maybe starting with creamy pesto gnocchi with white beans and sausage? Make sure you use an oven-safe skillet (cast iron or otherwise) as this gnocchi skillet finishes by taking a spin under the broiler. If you don’t have one, you can place a lid on the skillet and wait until the cheese melts. The gnocchi I prefer are 80% potato and are found in the dry pasta aisle of the grocery store. Ingredient quantities have wiggle room! More or less chicken, marinara sauce, cheese, etc. Zhush it to fit your tastes. 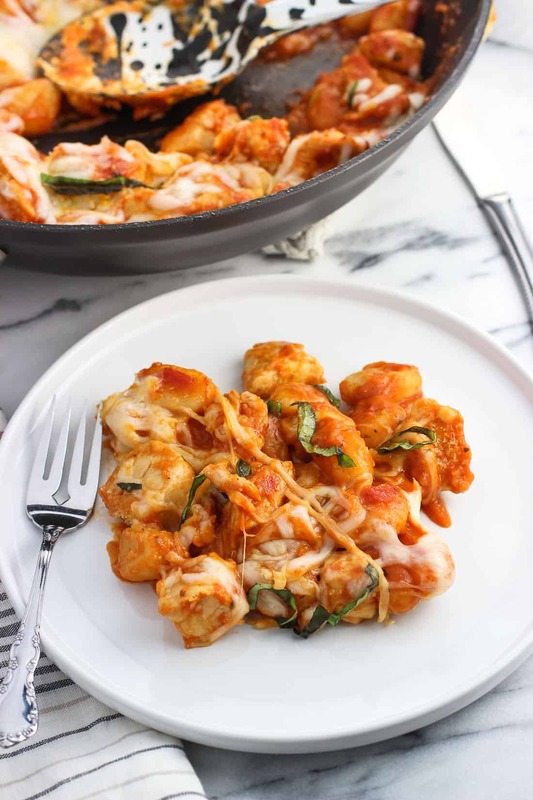 Chicken Parmesan Gnocchi Skillet is a total comfort food meal made all in one skillet. Less dishes to clean with saucy gnocchi, juicy chicken, and Parmesan and mozzarella cheeses. Top this dinnertime favorite with fresh basil for serving. Cut chicken into approximately 1-inch cubes. Add 2 tbsp of the olive oil to a large oven-safe skillet set over medium-high heat. Add chicken and cook for 6-7 minutes, flipping over as needed, until chicken cubes are fully cooked (internal temp reaches 165°F) and center is no longer pink. Remove cooked chicken to a plate. Place the skillet back on the stovetop over medium-high heat and add remaining 1 tbsp olive oil and 1 tbsp butter. Swirl the butter and oil around the skillet until the butter is melted. 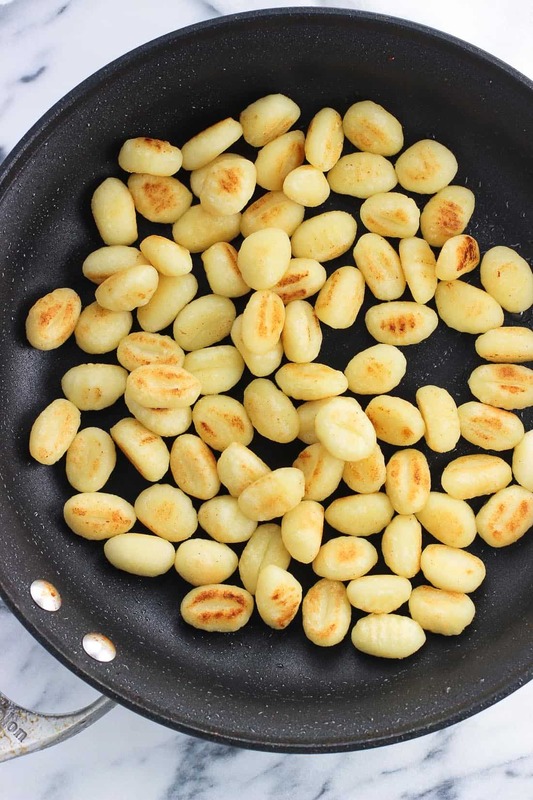 Once melted, add gnocchi to the skillet and break up any that are stuck together. Stir so that the gnocchi are coated evenly. Cook for 8 or so minutes, or until all sides of the gnocchi are golden-brown. Pour chicken broth into the skillet and reduce heat to medium. Let the broth reduce, stirring occasionally, for 8-9 minutes or until a thick "sauce" coats the gnocchi. Add the marinara sauce and cooked chicken to the skillet and stir to combine. Let heat for 1-2 minutes, then remove from heat. Sprinkle Parmesan cheese over top of the skillet, and top with shredded mozzarella cheese. Place skillet in the oven on a rack near the top and set oven to broil. Broil for a minute or so, or until the mozzarella cheese melts. Remove and top with basil for serving. You'll want to use your largest oven-safe skillet here - the one I used has a 12" diameter. No need to boil the gnocchi! They go straight from the package to the skillet. Keep a close eye on this gnocchi skillet while it's under the broiler. Things move quickly under there! 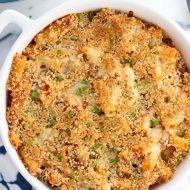 Gnocchi, chicken, and cheese? How could you go wrong! This *almost* makes me happy for more snow tomorrow since at least it’s always a good excuse for comfort food! Hi Alyssa! I recently’discovered’ pan fried gnocchi and won’t prepare it any other way now. I also love your idea of adding stock. I’ll try that! 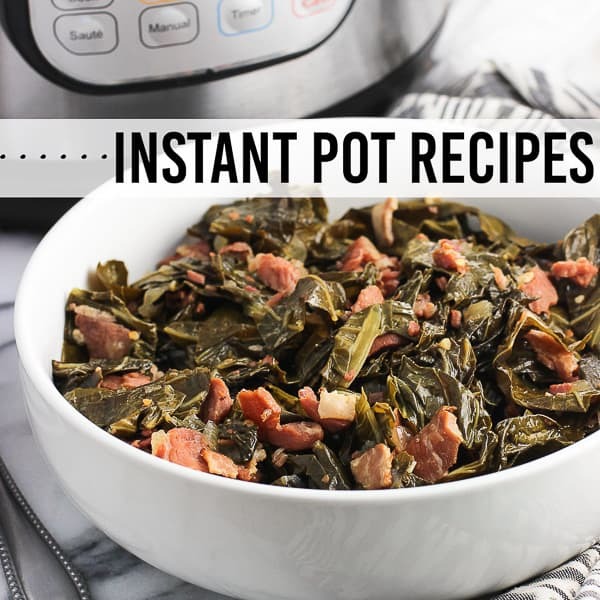 What a delicious comforting dish for early spring! 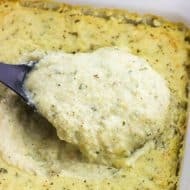 This just has everything that a comfort meal should have! Gnocchi, cheese and definitely spoonability. My family are going to love this!